Aisha has now given birth to 7 males and 4 females. 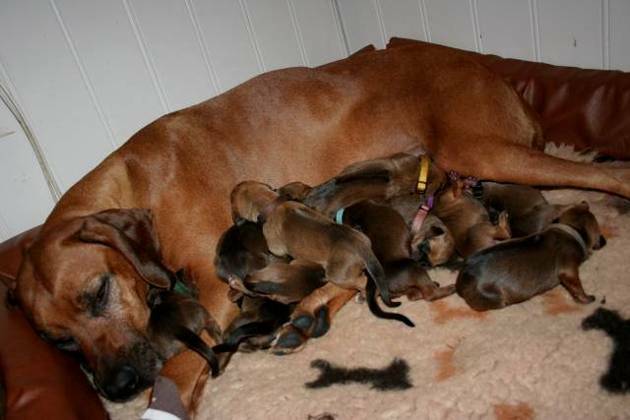 11 beautiful puppies. All with ridges, black nosed, one female has a small kink. Both Aisha and her puppies are doing well. More information at KENNEL RIDGEDOGS in Norway!